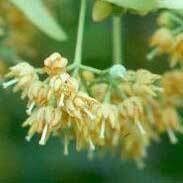 The leaves and flowers of the Limeflower tree, or Lindenflower tree, which will be recognised by most people in the modern world because they are such a popular tree to plant in avenues, parks or gardens. Limeflower trees are tall and hardy and their graceful branches burst out in an abundance of sweet-smelling flowers every year. Limeflowers have been historically used for treating heart related problems such as throbbing headaches, high blood pressure and shortness of breath. 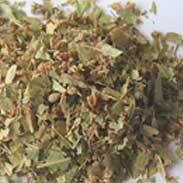 Limeflowers improve sleep and are highly regarded for helping with tension and anxiety. Limeflowers have been widely used in children’s medicine for problems such as restlessness, irritability, fevers, aches and pains. Simon Mills writes 'Limeflowers are a gentle but effective relaxant especially for children and for those suffering from nervous irritability; and as an important herb in fever management'. 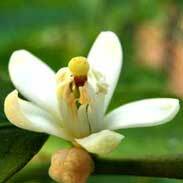 Rudolph Weiss M.D writes 'fresh Linden flower tea has a wonderful smell and taste and is therefore popular with children. 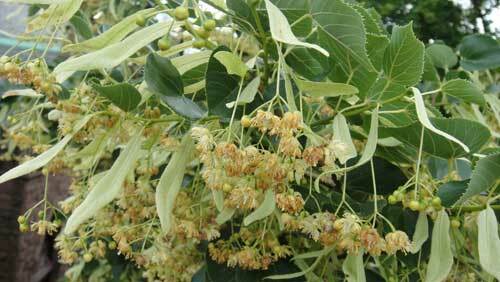 Like Elder flower tea, Linden flower is also a good diaphoretic, (an agent the produces a therapeutic 'sweat') the potency of the two is approximately equal but the effect of Linden goes beyond that of a diaphoretic; it also results in general immune stimulation even if perspiration does not actually occur. For colds and flu and common childhood illnesses with raised temperatures Weiss recommends a simple and effective treatment of pouring a cup of boiling water over 2-3 tsps of a combination of Lime flowers, Chamomile and Elder, covering it, allowing it to steep for 10 minutes, then straining and sipping whilst hot. 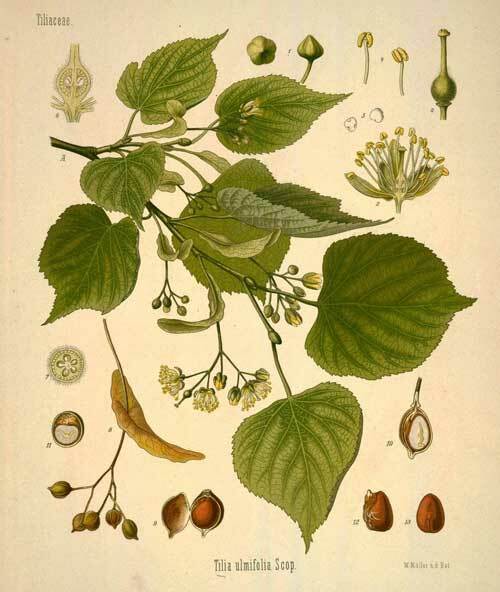 The British Herbal Pharmacopoeia (BHP) describes the actions of Lime flowers as 'sedative, spasmolytic, diaphoretic, diuretic, mild astringent' It says it is indicated for 'raised arterial pressure associated with arteriosclerosis and nervous tension'. 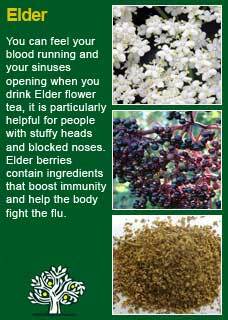 The BHP suggests combining it with Hawthorn for high blood pressure, with Hops for the nervous systemin neurosis and with Elder in the common cold. . The BHP recommends a dose of 2-4 grams by infusion and the tincture at 1:5 in 45% ethanol at a dose of 1-2 mls daily. No adverse effects are expected (or have ever been reported) from taking Limeflowers, even in high or frequent doses. It may be confidently taken during pregnancy or whilst breastfeeding and used by the young or old with safety. Limeflowers are marvellously pretty and pleasant and, especially when looking at the long traditional use as a medicine for children, it could be easy to side-line this herb as something safe, sweet but rather mild. 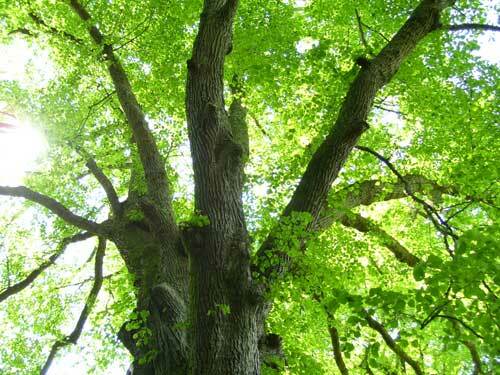 If you think that way (which is certainly how I used to think) then look again, perhaps starting by having a good look at the great Linden tree itself; which can only be described as majestic. 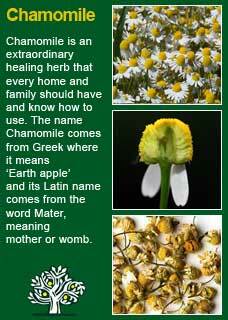 It can certainly be seen how Limeflowers can relax constricted blood vessels in a feverish child remarkably quickly. What can also be observed if that, if given patiently to an adult it can relax not just their heart too but also the tightening in their blood vessels that is giving them such dangerous problems as high blood pressure or such warning symptoms as vascular headaches or restless legs and general agitation. 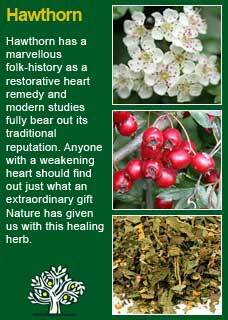 It is a powerful medicine that can help with such serious troubles. 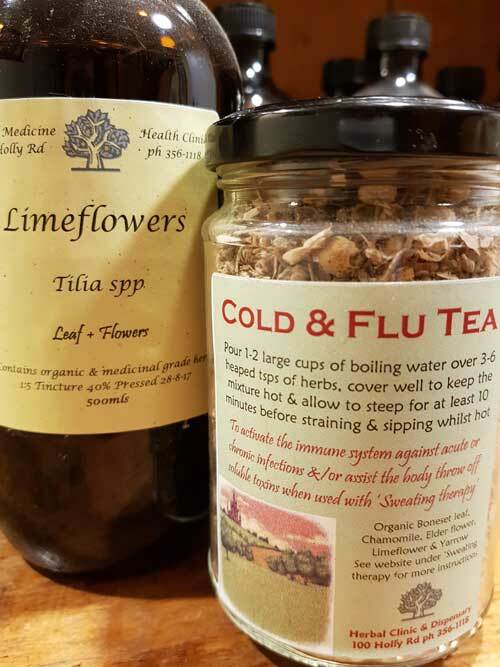 Limeflower tea can work straight away for a child or an adult with a fever but to get the action on the heart and blood vessels its influence must be sustained for weeks if not months to make any kind of a lasting shift to a stuck pattern of vascular and nervous tension. This would make 560mls, which will just fit into a 500ml amber pharm round. 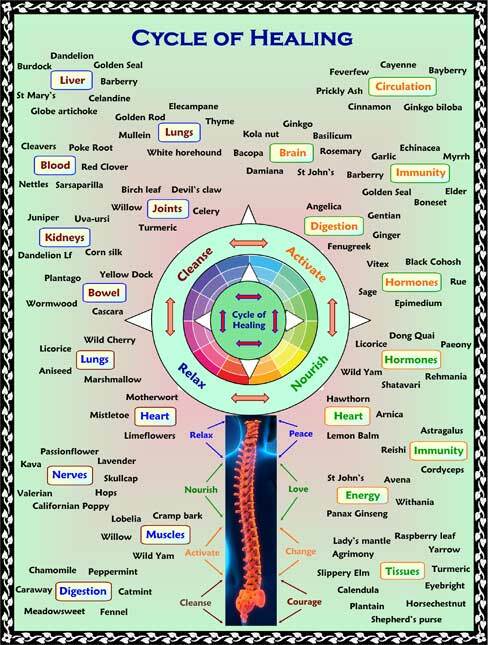 Bearing in mind that these are all tinctures that we make ourselves from dried organic herbs, so the equivalent dose might be higher or lower from a different practitioner or company, I would use about 8-10 mls of this once a day to improve heart and artery health, blood pressure, circulation etc. If a person was in a bad way with heart based symptoms, I would not hesitate to go to the maximum dose of 10mls twice a day until they were clearly much better, before going back to a smaller maintenance, or preventative medicine, once a day dose. 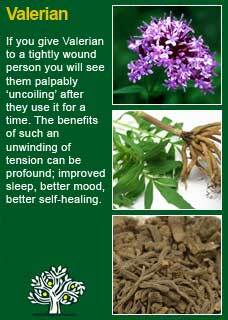 *If for reasons of personal preference, or because their blood pressure was sensitive to it (which is only notable in some cases) the Licorice root was not desired in the mixture, then it could be substitured for Fennel, or Peppermint, or even Chamomile for a pleasant tasting 'adjuvant' to the medicine. The above amounts make 65 gms of herb, more or less can be used as needed. The dosage to have a pronounced effect is to pour one to two large cups of freshly boiled water over 3-6 hpd tsps, or about 4-8 grams of the herbs. Cover and allow to steep for at least 10 minutes, longer is ok too. When ready to drink it, strain and sip whilst hot. The taste of this tea is strong but quite acceptable and there has been excellent feedback from many people as to how well it has helped to activate the immune system to break out of acute or chronic infections. It can be safely taken by anyone from any age. Much of the information here about the traditional uses of Limeflowers is consistent with the model of thinking whereby one may treat problem A with plant B.